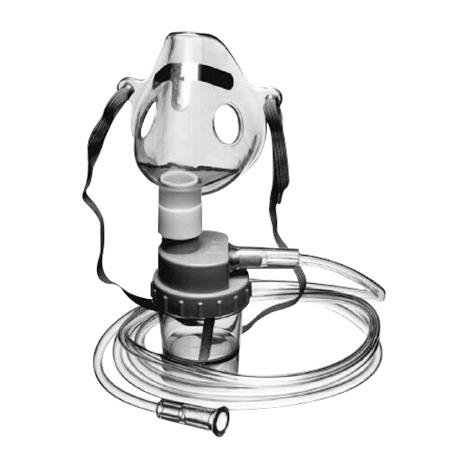 Allied Adult Mask With Nebulizer And 7 Feet Tubing is designed for people with respiratory disabilities. Precise Venturi System effectively delivers 70% of aerosol particles within one to four micron range. Hi. Is this compatible with PulmoMate Compressor/Nebulizer by DeVILBISS (Model#: 4650D)??? Thanks. Yes, Allied Adult Mask With Nebulizer And 7 Feet Tubing is compatible with DeVILBISS PulmoMate Compressor/Nebulizer Model#: 4650D. Yes, the Allied Adult Mask With Nebulizer And Tubing can be used with MOST nebulizer compressor like Pari Nebulizer Compressor. Can this mask with medicine cup be used in MOST nebulizer compressors? Yes, Allied Adult Mask With Nebulizer And 7 Feet Tubing is compatible with Drive Airial Compressor. I can use this with the Easy Neb Compresor? Thank you for your help! Yes, Allied Adult Mask with Nebulizer and 7 Feet Tubing can be used with the Easy Neb Compresor. Yes, Allied Adult Mask is re-usable as it can be cleaned. is mask ref. 64085 látex cree? Yes, Allied Adult Mask is latex free.